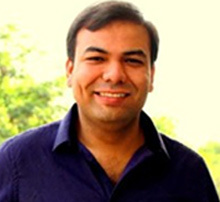 Delhi-based RP2 Ventures Pvt. Ltd, which runs fresh fruit and vegetable supply chain venture Lemon Leaf, has raised its first round of external funding from two angel investors, a top company executive told VCCircle. Praveen Kumar, the head of operations at the firm, said the funding has been raised mainly to set up the company’s sole processing facility at Dwarka in southwest Delhi. The facility has a capacity of processing 50,000 kg of products a day. Kumar said the startup mobilised nearly Rs 90 lakh ($133,000) from Tushar Gupta and Sourav Sahani, the founders of supermarket chain Daily Delite. Lemon Leaf says it cleans vegetables and fruits using ozonated water aided by ultrasonic technology. This increases the shelf life of vegetables and fruits. “We remove the surface pesticides and microbes and make it fit for consumption without even washing the fruits or the vegetables,” said Kumar, an alumnus of IIM Lucknow. He said that a lack of any reputed brand in packaged vegetables led him to establish this venture. The company processes and packages 15 vegetables and sells a total of 1,500 kg a day. It plans to start selling 15 more vegetables soon. It mainly sells its items through organised retail and several standalone vegetable vendors. Kumar, who earlier worked at TACT India and EduKart, said the company sells the products above market rates and claims that its average margin is nearly 30%. The company doesn’t procure vegetables from farmers but rather gets these from commission agents at Azadpur Mandi, Asia's biggest wholesale fruit and vegetable market. The startup was launched in July last year by Kumar, Puneet Gulati, Rishubh Khurana and Sankalp Chandhok. Gulati, Kumar’s batchmate from IIM Lucknow, earlier worked at Tata DoCoMo and Singapore-based commodities trader Olam International. Khurana, who heads technical initiatives at Lemon Leaf, previously worked at Texas Instruments. Chandhok, who was previously into the restaurant business, ensures sourcing of vegetables and fruits and manages operations at the manufacturing unit. Kumar said that the company is looking to raise seed funding soon and that it is in talks with several agri-focussed venture capital firms to support its bid to introduce new channels of sale. “We would like to sell packaged vegetables through our own small-sized stores and also through cart (own portal),” he said. Lemon Leaf identifies Bangalore-based Lawrencedale Agroprocessing India Pvt. Ltd, which is backed by venture capital firm Aspada Investment, as its main competitor. These companies are trying to solve the problem of poor agricultural supply chain in India, where a fragmented market for farm produce and a lack of sufficient cold storage infrastructure leads to huge wastage of fruits and vegetables as they rot much before reaching the consumer. Apart from Lemon Leaf and Lawrencedale, a number of other companies in the segment have raised funds in recent years. Mumbai-based startup White Shadow Technology Pvt. Ltd raised about Rs 2.5 crore in angel funding while Pune-based Siddhivinayak Agri Processing Pvt. Ltd closed its Series B round led by impact venture capital firm Lok Capital in January. Aspada invested $550,000 in Lawrencedale in 2013 and put about $2 million in New Delhi-based Allfresh Supply Management Pvt. Ltd the next year. In 2015, Aspada invested $3.2 million in Mumbai-based InI Farms Pvt. Ltd.